GeoExchange BC is dedicated to the education, promotion and responsible design and installation of geoexchange (low-temperature ground source) energy systems. You are receiving this letter because you are listed a qualified geoexchange well driller on the province register of well drillers.. In what is an ongoing series of articles authored by the BC Ministry of Environment, government staff overseeing environmental and natural resource sectors are pleased to offer to GeoExchange BC members, and to the geoexchange industry at large, the following regular updates related to legislation and policy development and program activities that may affect the geoexchange industry. Contact List of Groundwater Staff. 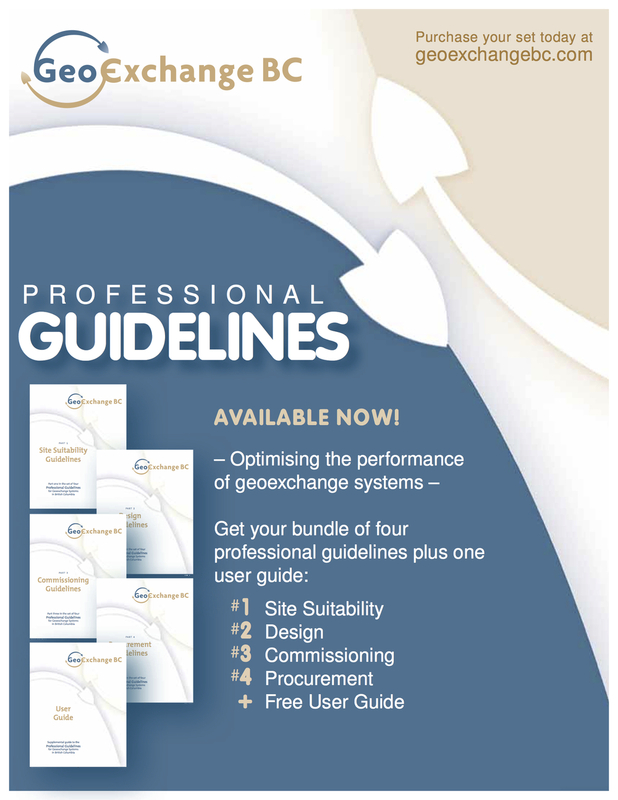 LATEST: GeoExchange BC working for you ! Latest: GeoExchange BC in the news ! WHY NOT ENGAGE OUR ACTIVE MEMBERS? or Click Here to update your subscription preferences.